Flying Witch follows Makoto Kowata, a high school-aged girl who moves in with her cousins out in the countryside to become an adult witch. Makoto Kowata moves far north from her home near Tokyo to her live with her cousins in Aomori when she starts high school. However, the real reason she moves is to continue her training to become an adult witch! Although she may be out in the country, Makoto's days are far from boring as she gets to know her cousins Kei and Chinatsu. They go about their lives together, along with quite a few mishaps. Flying Witch's most striking feature is the relaxing atmosphere it quickly develops and maintains. Flying Witch is most definitely a slice of life comedy, but there are many elements of the story beyond that that give the book the distinctively relaxing feel it has. Everything from the countryside setting to the character designs to the comedy is organized in a way that gives the manga a feeling of a smooth, soothing delivery. The setting of the countryside in Aomori is a relatively unusual but enjoyably idyllic choice for a setting. Much of the humor plays into this, but it's the way that the little details, such as the farmland and Makoto's uncle's heavy dialect that really make the setting feel relevant to the story. 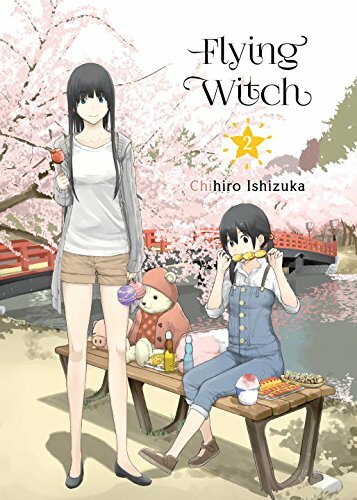 There isn't much of an overarching plot to Flying Witch, but each chapter will have its own tale with character development and humor that carries over into future chapters, much like other similarly styled comedies. Flying Witch's art feels calm and restrained. The panel layout is fairly simplistic with very few extra stylistic flourishes, and the character designs mirror this simple style. Characters are very emotive, but their designs serve to highlight their emotions during interactions with each other, particularly in comedic scenes. The countryside setting is definitely the most detailed element of the art as backgrounds are more detailed and varied to suit the environment of Aomori. Oftentimes when the focus is on character dialogue the panel backgrounds will be very minimalist, while when the focus is less specific they are more detailed. Overall, the most striking element of visual style in Flying Witch is the usage of specific detail to draw the readers' attention to specific elements, be it dialogue or the environment. Reading the story is smooth and relaxing. In a similar fashion to the tranquility of the art, much of the world building in Flying Witch is very relaxed. Despite having a premise of witches and magic, the actual society of witches and the mechanics of magic are both very mellow. There isn't a lot of serious drama between witches, nor is magic the kind of aggressive fighting techniques one might visualize in a shonen action series. In most slice of life series, a magical component would be expected to create a conflict of some sort, but that is not the intention of magic in the world of Flying Witch. If anything, the mysticism builds on the tranquility of the setting. There are also moments where magic plays into comedy as well, often as a subversion of expectations. Equally as important as the setting are the characters. Through their interactions with each other, Makoto, her cousins, and their friends develop subtly. Their quirks are often points of humor, but their daily interactions are the major narrative element of the series. True to the genre name, Flying Witch is a slice of the life of its characters. It's a very relaxing series to read, but that doesn't mean that there is not plenty of comedy. The characters, setting, and magic all are utilized within Makoto's daily life to create effect. Flying Witch isn't a 4-koma manga, but its jokes often follow a similar one-liner style of humor. Makoto's uncle might speak in an incomprehensible dialect, or a spell might go awry, or someone might just make a silly mistake. The setup is minimal but the delivery is often on-point. Because of this structure, jokes often manage to blend into the aesthetic of the illustrations and contribute to the relaxing atmosphere while still being amusing. Flying Witch is a fairly straightforward series to discuss. The art is restrained by effective, the setting is peaceful, the world-building is relaxed, and the comedy short and sweet. All of these elements create a very calm manga. This series definitely fits the term slice of life. If you're easily bored by that kind of thing, then it might not be for you. However, if you're a fan of slice of life with a bit of comedy, then Flying Witch is a must-read. 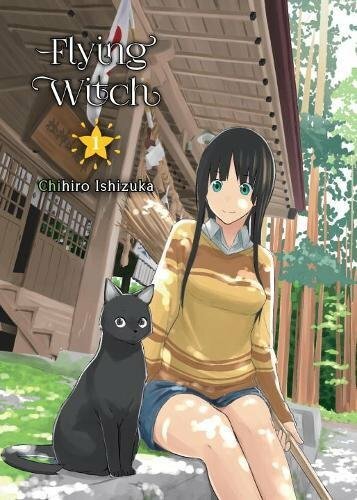 Flying Witch Vol. 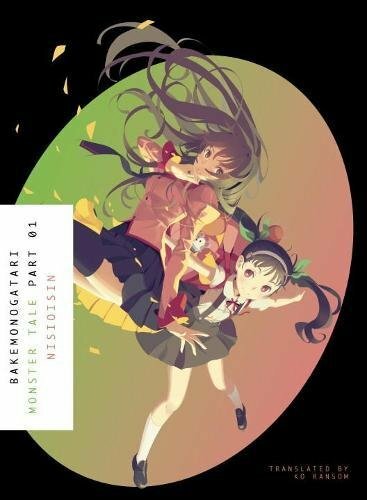 1 was translated by Melissa Tanaka and published in English on March 28, 2017 by Vertical, Inc. It began publication in August of 2012 and is currently ongoing in Kodansha's Bessatsu Shonen Magazine in Japan. The series received an anime adaptation from J.C. Staff in the Spring 2016 season.